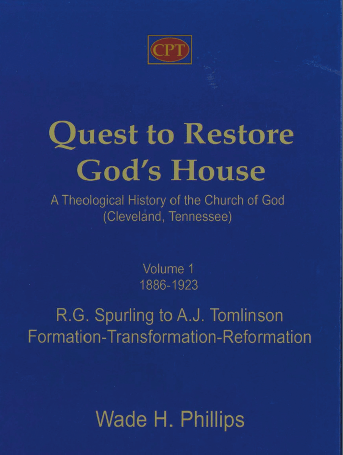 In April 2004, our leaders set out to restore the church. The need was great and many layers of issues had to be “peeled off” to get back to the original foundation. I was not in that historic April meeting, but the need to do something concerning the existing state of the church had become quite obvious to all of us. When the reorganization occurred, many people in my part of the country thought that it was simply a group of people who were angry about compromising some doctrinal issues, such as the sacredness of marriage and its indissolubleness “until death,” and plainness in dress and manners. 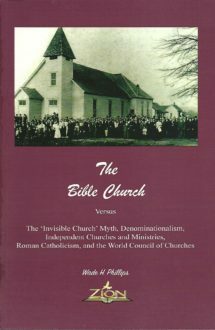 What they misunderstood and underestimated was the fact that there were many areas in which the church had failed to be truly the Bible church including, significantly, in regard to fellowship. Having come into the church during my late teen years, I was not a part of or aware of how the Church of God had operated for most of the past century. I was born and raised Roman Catholic, so my understanding of the “church” was blurred and eclipsed by years of religion and tradition. However, when I began attending our former fellowship, I immediately sensed something different, a sincere love that I hadn’t experienced before. Those sitting by me and those on the stage showed love and appreciation to me, which I had never experienced before. I later came to understand that this was true biblical fellowship. 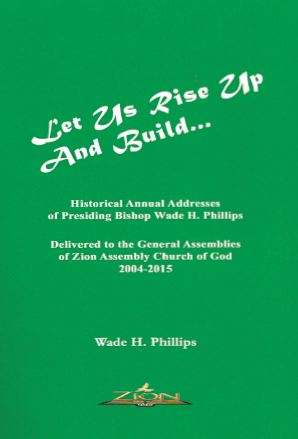 After joining the church (in our former fellowship), I began attending regional, state, and national functions, and then, of course, the General Assembly. It was then that I noticed that the love I had experienced back in the hills of West Virginia was not the norm everywhere. Don’t get me wrong, it wasn’t that I was treated badly, but I could see how the love I had witnessed was not being expressed throughout the church. Even some of the things within my district in West Virginia gave me concern; but, being young in the Lord, I didn’t put too much stock in my own opinion or perception. But there was definitely something missing in the district, state, and international meetings—things that just didn’t seem to agree with my spirit. It seemed as though much of the church, especially those in leadership positions, was more interested in self-promotion than God-promotion. There seemed to be a whole lot of “me, me, me,” and not enough about God and our fellow brothers and sisters. Debating, anger, and hostility seem to rule out love, grace, and mercy. Little by little the Lord began to open my eyes to the fact that the fellowship we had in my local church was not indicative of the church as a whole. But I didn’t comprehend the degree of degradation and decay that had gradually diminished the love and genuine fellowship of the church worldwide. 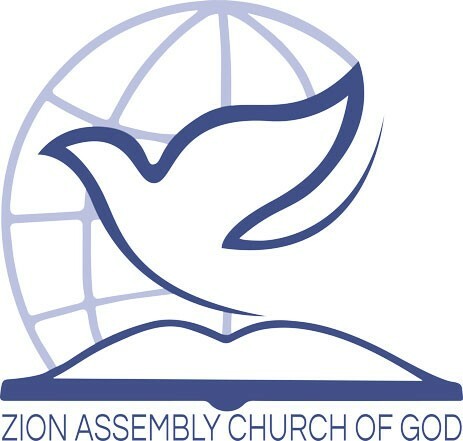 However, despite the amount of erosion that had occurred in our former fellowship, when I reaffirmed my covenant in Zion Assembly in the fall of 2004, I was thankful to know that the restoration of the Bible church was well underway—a restoration of love, unity, and fellowship. So what is biblical fellowship? On a basic level, it is expressing love among brothers and sisters in Christ and sharing together the prophetic vision of the church. That’s a very simplistic view of fellowship, but you have to understand the relationship between Christ and man, and the relationship between Christ and His bride in order to begin to understand what fellowship is all about. Fellowship is all about love one for another, the kind of love (agape/charity) described in 1 Corinthians 13. Fellowship is love being experienced at its greatest depth; the kind of love that urges us to express patience and kindness toward one another, our fellow brothers and sisters. It also urges us to trust and persevere together, and to protect one another. Fellowship goes beyond just simply hanging out together and enjoying the company of one another; it’s rooted in downright, deep seeded love—love that internally connects us together in spirit and truth; a love that exists only through the power of the Holy Ghost. The Scriptures reveal exactly what kind of fellowship we should experience in the church. The apostle says, “This then is the message which we have heard of him, and declare unto you, that God is light, and in him is no darkness at all. If we say that we have fellowship with him, and walk in darkness, we lie, and do not the truth: But if we walk in the light, as he is in the light, we have fellowship one with another, and the blood of Jesus Christ his Son cleanseth us from all sin” (1 Jn. 1.5-7). In this passage, we see where fellowship begins. It begins with us “walking in the light.” We can’t do anything for the Lord if we are not walking in the light of the Gospel, and that includes fellowship together in the Spirit. When men and women begin to walk in their own light, or in the light of someone else, true biblical fellowship ceases to exist. But when God is allowed center stage and put at the forefront of everything, fellowship flourishes. But when God is relegated to a backseat in the church, fellowship suffers. Genuine and beautiful fellowship can only exist in the church when brothers and sisters are walking together in love and the light of the Gospel. The right relationship between our members may be seen in the example of Ruth toward Naomi. “And Ruth said, Entreat me not to leave thee, or to return from following after thee: for whither thou goest, I will go; and where thou lodgest, I will lodge: thy people shall be my people, and thy God my God: Where thou diest, will I die, and there will I be buried: the Lord do so to me, and more also, if aught but death part thee and me” (Ruth 1.16-17). When we have true fellowship one with another in Christ, we sincerely desire to be together in all that we do. Whether it’s in our local churches on Sunday or in regional or state-wide or international meetings; we have a desire to be together to worship and do the work of the Lord. This attitude enables us to understand that we accomplish much more together than we possibly can apart from each other. In examining what fellowship is in the Scriptures, I would be amiss by not reiterating the importance of love. For without love we have no real fellowship—no fellowship with God nor with church. The command we received by Jesus Christ is quite clear, “Thou shalt love the Lord thy God with all thy heart, with all thy soul, and with all thy mind. This is the first and great commandment. And the second is like unto it, Thou shalt love thy neighbor as thyself. On these two commandments hang all the law and the prophets” (Mt. 22:37-40). This is the essence of what the church is all about: loving God and one another, and reaching out in love to a world of lost humanity. This is how fellowship will continue to exist in God’s true church. Without love, we will simply be “sounding brass, or a tinkling cymbal” (1 Cor. 13:1) In John 13:34-35, Jesus said, “A new commandment I give unto you, That ye love one another; as I have loved you, that ye also love one another. By this shall men know that ye are my disciples, if ye have love one to another.” Think of this. Jesus tells us that all men are going to recognize His disciples because of the love that they have one to another. Not primarily through healings, miracles, and sermons, but through love. Now this love is the energy of our fellowship. It is what allows us to fulfill James 5:16, to “pray one for another,” and to “Bear ye one another’s burden” (Gal 6.2). As we continue to restore the church of the Bible in regard to right doctrine and right practices, let us never lose sight of how important fellowship is. All people inevitably fellowship in some way and in some form: for men, even fallen men, are by nature social creatures. But God’s people embody and exemplify what true biblical fellowship is— the sharing together in one visible body the love of Christ and His teachings. It’s this fellowship that brings about visible union between God’s people and true spiritual unity, knowing that we stand together on Godly principles and in the light of His truth. Loving one another and reasoning together in the Spirit in regard to His will, we thus fulfill the proverb, “As iron sharpeneth iron, so a man sharpens the countenance of his friend” (Prov. 27:17).